Sheillah and Tayo's quarrel was a hot topic in the diary room, often brought up by the housemates and at other times prompted by Figgie. As for Tayo, he told Figgie that he was not happy with the way Sheillah spoke to him and that she had ruined his mood. He said he was no longer going to mind his own business, as his tolerance level was getting low. Remaining diplomatic about the quarrel, Sheillah merely wondered why Tayo had picked this particular time to have a go at her. As far as nominations were concerned, Ellah felt that JJ and Sipe seemed worried about what would happen his Sunday. She was also concerned that Macky2 had put her up for eviction as was Nhlanhla. The latter admitted he was drained, and although he was wondering whether he had done his best, he was proud of the way he had played the game. Despite what Ellah had said, JJ said there were no butterflies in his stomach, although the mood in the house was a bit "touchy-feely". Butterphly emphasised his point, stating that other people's tensions were rubbing off on her, but other than that she was chilled and embracing the experience. Both Butterphly and Macky2 said they had stopped making predictions about evictions, because they were usually wrong. Sipe confessed that she was nervous about Sunday, and also spoke about her relationship with Macky2. She said it was a bit tricky, but they had been speaking about it and sorting out where they stood with each other. Trezagah told Figgie he thought he was the calmest person in the house and noticed that people had been changing. He did not think that was a good game plan at this stage, as fans who had been watching from the start would notice the change. In spite of misgivings about nominations, the Music Video Extravaganza was keeping up their spirits. 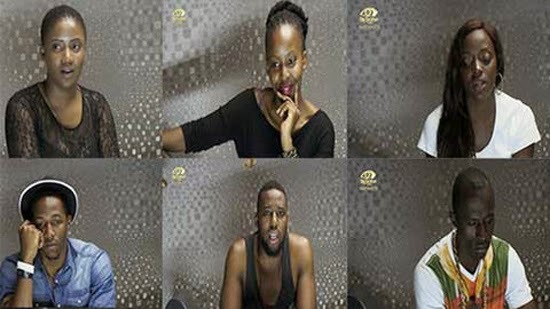 Fally Ipupa and Diamond had left a positive impression on the housemates with M'am Bea stating they were very humble, blending well with the group, hearing out what the Hotshots had to say and sharing their opinions. Goitse was incredibly upbeat about it – she admitted to not being a singer, but thoroughly enjoying her contribution to the music video. There is also the Friday night party to look forward to later, and Idris foresaw fights happening. However, he also thought that people who like each other would really let go. It seems like there's lots to look out for tonight at the Absolut Fusion Party, so make sure you keep on watching! Akintayo faniran is a proud african! Vote tayo anyday anytime.